I was honored to be apart of the Ranger Designer Challenge this year at CHA! 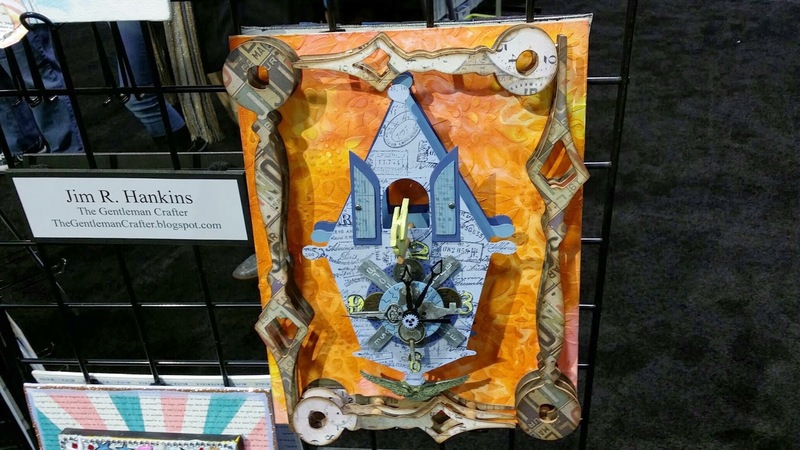 This year's challenge was all about Tim Holtz's new and fabulous, I might add, Distress Paints. We were to use his new colors and do what we do. Well, I do dimensional projects. And I love clocks....What could I come up with? 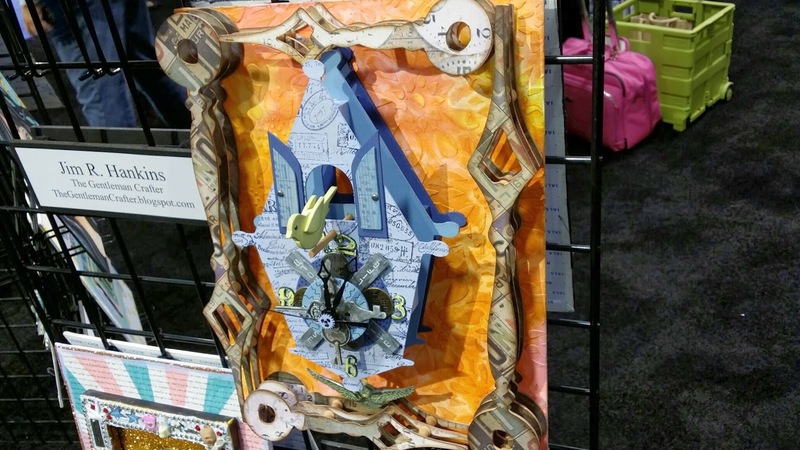 "Time was a ticking" and I needed to get going on this project....Dimension, Distress Paint and Clocks...I got it! I totally had so much fun making this project! I love Distress Paint and what a fun challenge this was! Well, that's it for today! Thanks so much for coming by! Love it! Do you put any finish coat on your projects to protect from moisture and dust? What a fabulous clock! I love the little cuckoo bird! You outdid yourself once again Jim! Fabulous clock! I absolutely love your artwork! The background is awesome and the clock hands are genius! You rock!!! Hugs!!! I call you...My Imagination Station!! 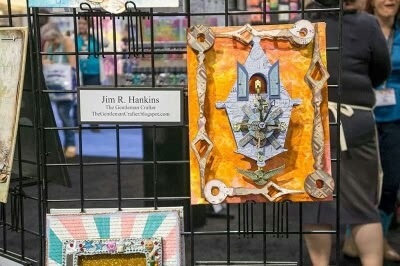 OMG Jim, I just love your cookoo clock, so much dimension. So clever! I am in awe. That is stunning. Oh Jim, what a blast! !I love that adults can play in this way!! I wish all adults could have something creative to do.Wouldn't it be a happier world.Thanks for sharing the fun.Love your project. So beyond amazing ...you Designers just amazed us ! This clock...WOW... intricate detail ... just awesome! Was so nice to see you in person ! OMG!! This is so amazing!! I love it!! Your work is so fabulous and unique!!! Thank you for sharing your amazing talent and unique perspective with us! !